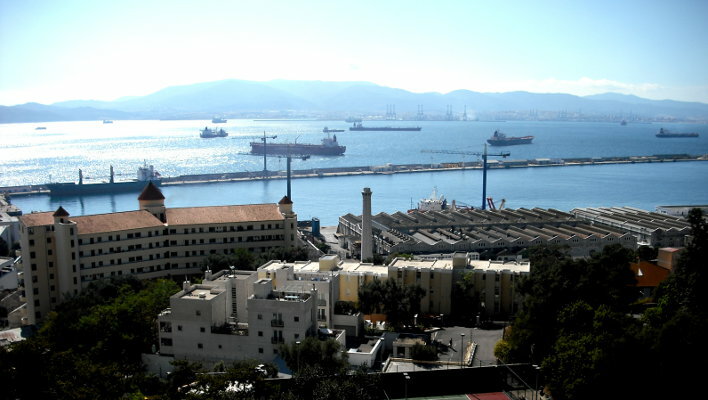 Upon visiting Gibraltar for the first time, a common comment is "What a shithole!" It's worth a visit though if only for a quick blast up The Rock to see the monkeys. Go soon though. The local government is getting tired of the apes rampaging through town and has started to export them. Across the border, into town and up the rock. No need for a map. The Rock is impressive. The petrochemical plant across the bay is less so. The roads are alright but there's a lot of traffic. Unless you're minted, don't stay in Gibraltar. Get a room in La Linea just over the border. It'll be a third of the price of a Gibraltarian one. Gibraltar may be known for its cheap, duty-free booze but this only applies to the shops. Its pub are considerably more expensive than Spain's. English is the official language. Most locals also speak Spanish. The apes, the overwhelming stench of petrochemicals.